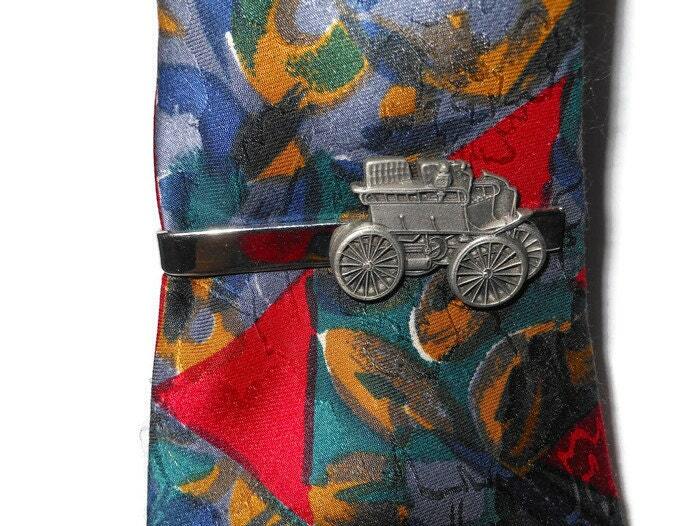 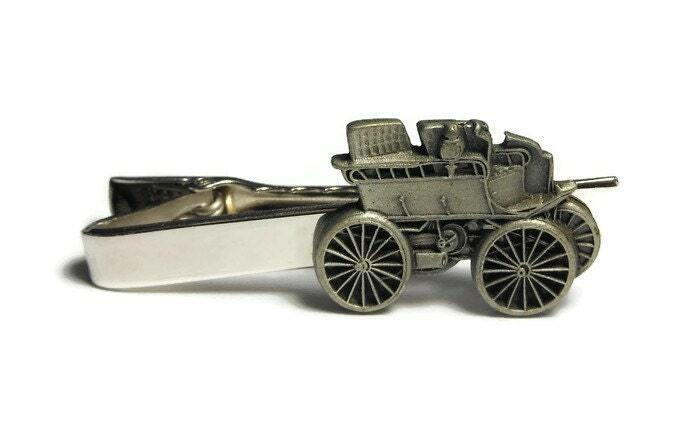 Wagon tie clip - buggy pewter tie clasp on silver tone tie clasp clip. 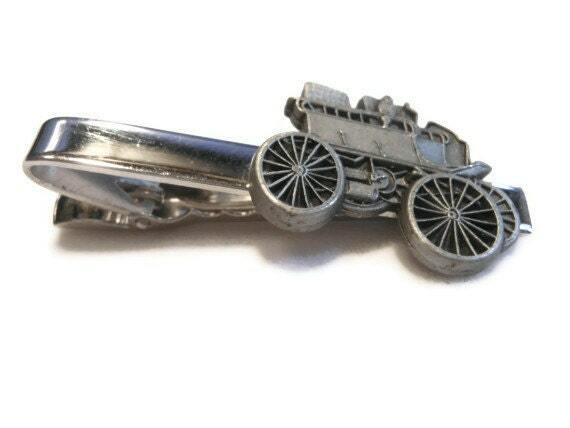 Evoke the days of yesteryear while sporting this classy tie clip. 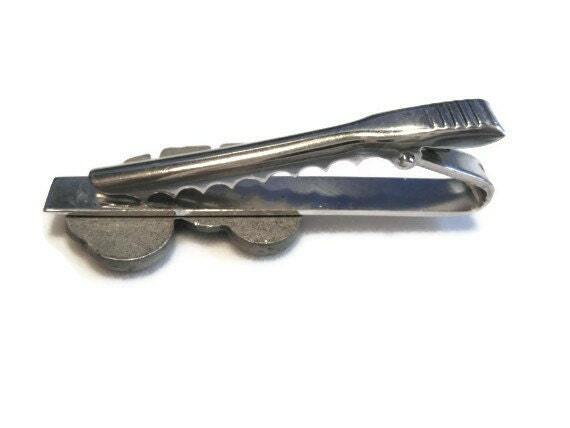 Measuring 2" (5 cm) it is in very good vintage condition with a few minor scratches on clip.